1st prize: Angus Wood (Tenor) won a 1 year employment contract at the Wiesbaden Opera House in Germany, plus Austrian Airline return ticket, 2 months German language course at the Goethe Institut in Germany and 1 month work experience at the Opera House to gain an insight into the procedures prior to the official start. Value of this prize is approx. 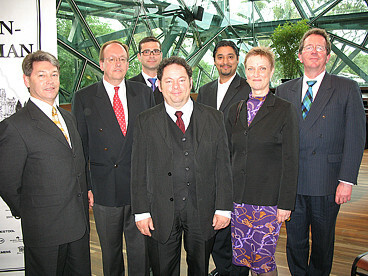 $55000. 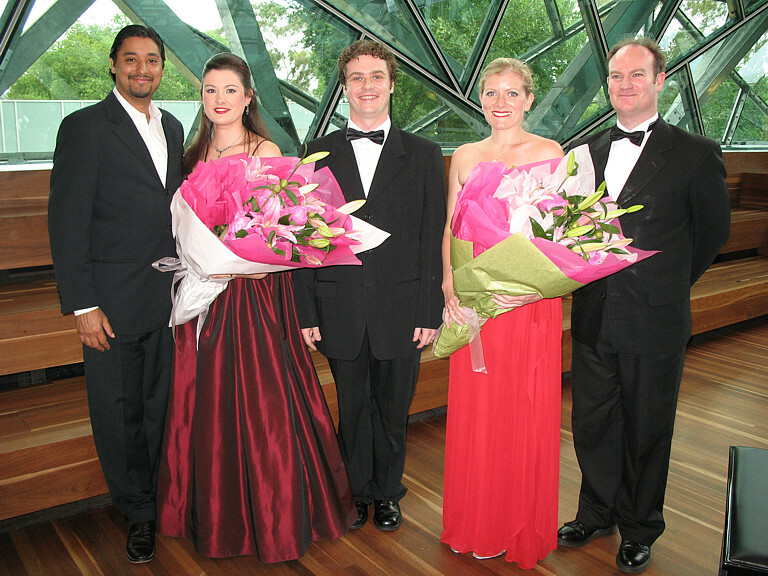 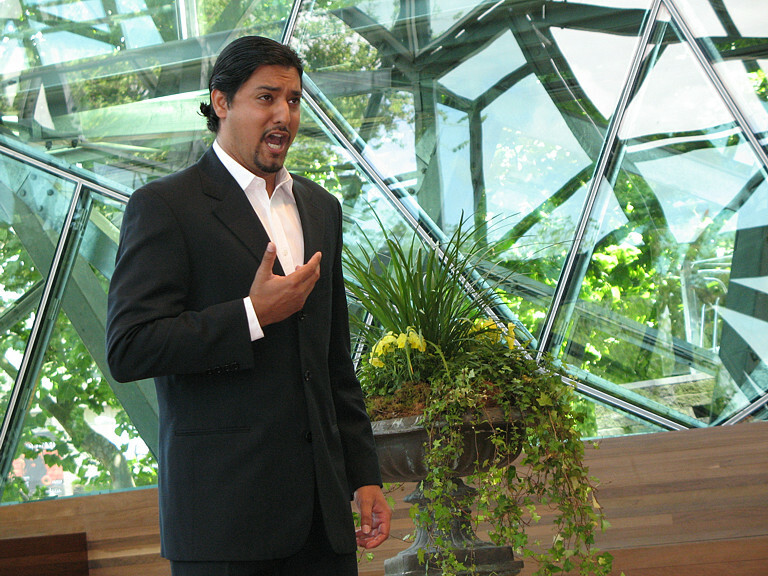 3rd prize: Matthew Davine (Tenor) won $1000 + an opportunity to perform at a high profile Melbourne event. 4th prize: Guy Booth (Baritone) won $ 500 + an opportunity to perform at a high profile Melbourne event. Semi-Finals were held on 25 November 2005 at Melba Hall, Melbourne University. 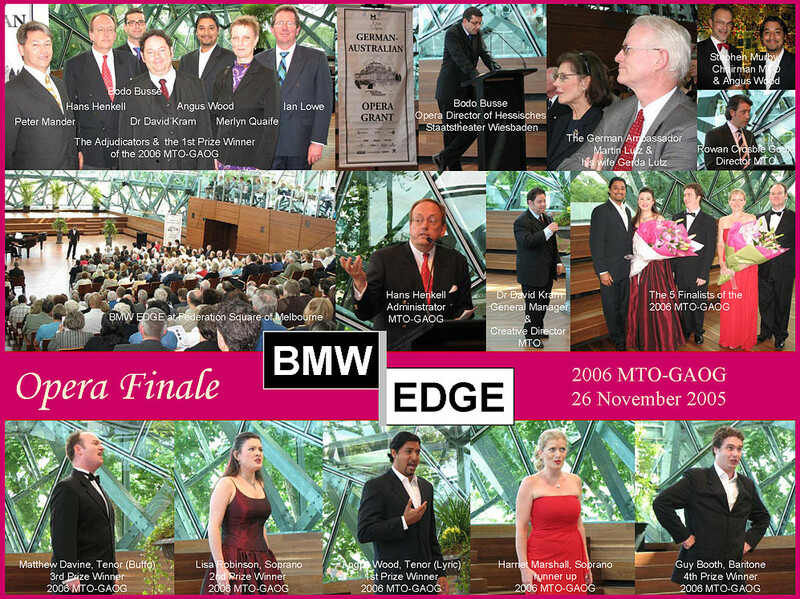 Finals Concert on the 26 November 2005, 3.00pm at BMW Edge, Federation Square.